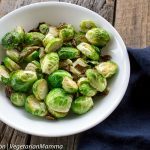 Air Fryer Brussel Sprouts is a simple and easy to make side dish. You will be amazing at the delicious air fryer vegetables recipes! If you are wondering how to cook brussel sprouts in the air fryer, we will teach you! Making and eating your brussels has never been easier! Growing up, I don’t ever remember eating brussel sprouts. I am not sure if we ever had them. 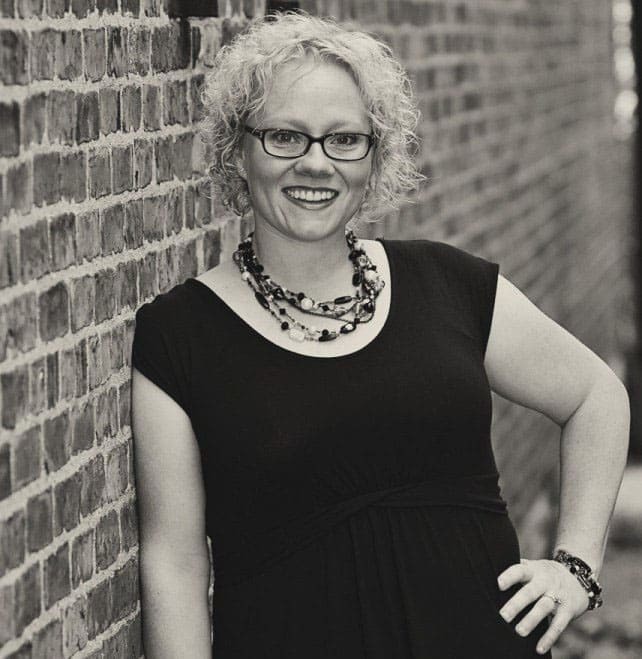 It wasn’t until I got married and we started eating more vegetables and fruits that I discovered that I loved them! I mean I REALLY love them! Now, they do come with a funky smell when you cook them. Have you ever noticed this? I especially notice after I walk out of the house and back in! Kinda like broccoli! Pro Tip: You can easily move your air fryer to your porch if you have a plug outside. You can cook your yummy (but stinky) vegetables outside! 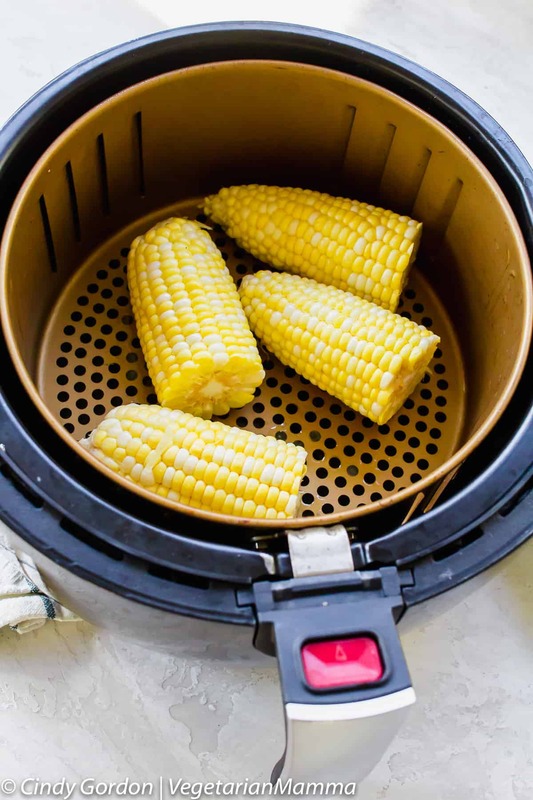 If you love vegetables and you love cooking in your air fryer, you need to check out our air fryer corn on the cob and our air fryer zucchini coins! We used our air fryer for the preparation of these brussel sprouts! In the past we have made some Air Fryer Baked Potato and some Air Fryer Tofu. So why not, Air Fryer Brussel Sprouts?! 🙂 I have tried to make them in the oven but honestly it is a lot of work! I am not a super fan of heating up my entire kitchen, so using the air fryer is perfect! Brussel sprouts are actually part of the cabbage family. If you really look closely they do resemble the head of a cabbage, don’t they? Brussel sprouts in general have a bad reputation. Society tells us that not too many kids like their brussel sprouts. I know that when I cook them, they do stink up my kitchen! Brussel sprouts can have a very strong taste, but that is mostly if they are over cooked. I’ve owned my air fryer now for a while, and I have to be honest…I’ve yet to find a recipe that I don’t love. And did I mention how simple it is? To say I’m a creature of habit is an understatement. I love being able to cook a meal and know with confidence that it’s going to taste amazing each and every time. And trust me when I say that once you try a baked potato in the Air Fryer, you will never want to go back to the oven method. And if you are one that uses the microwave to cook your potatoes, that method will be long gone for you as well! How long do you Air Fry Brussel Sprouts? You can cook these little guys anywhere between 8 and 12 minutes. I prefer mine with a little crunch in them. Toss brussel sprouts with olive and salt/pepper. Place into air fryer basket. Set air fryer for 400 degrees F and cook 8-12 minutes. 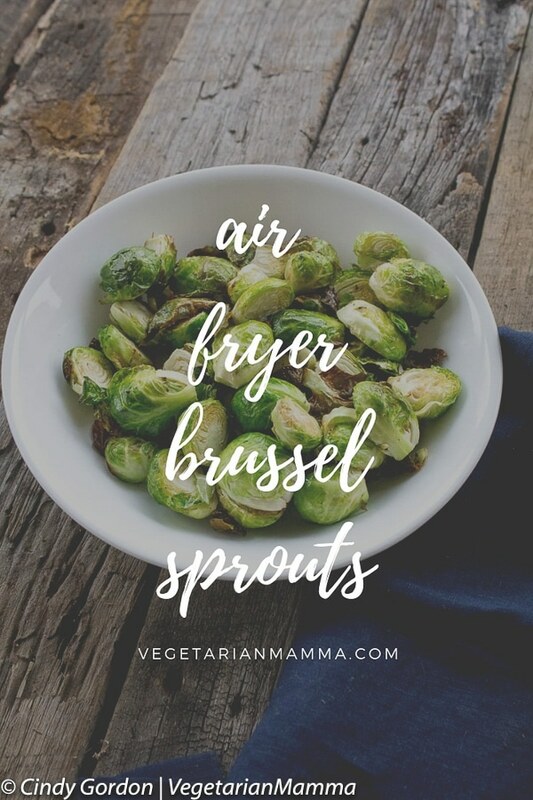 There are so many ways that you can enjoy your air fryer brussel sprouts. One of my new favorite ways is to toss them with homemade sweet and sour sauce. You can use the sauce recipe here. You will not need to use all the sauce, just spoon it on in small amounts of a time until you reach your desired level. It is SO good! Looking to buy an airfryer? If you are looking for an Air Fryer, you can find several choices on Amazon. 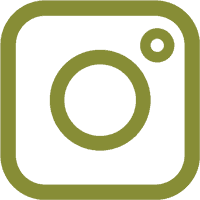 (affiliate link) Side note: If you are in the market for an air fryer, I recently created a post about the best air fryers on the market. The post is based off of reviews from friends, family and online consumers! Be sure to check out the best air fryers on the market! You can use frozen brussels and they will completely cook, however you will lose some of the crunch factor! Have you tried this? Drop me a note in the comments! Soft outside, but chewy inside? Be sure that you are slicing the sprouts in thirds or halves depending on the size of the sprouts. The smaller the pieces the easier they will burn, however the bigger pieces won’t cook all the way. It’s a little bit of a game. You can always do a few as a test batch. Sprouts sizes can really vary! How do I cook without an air fryer? 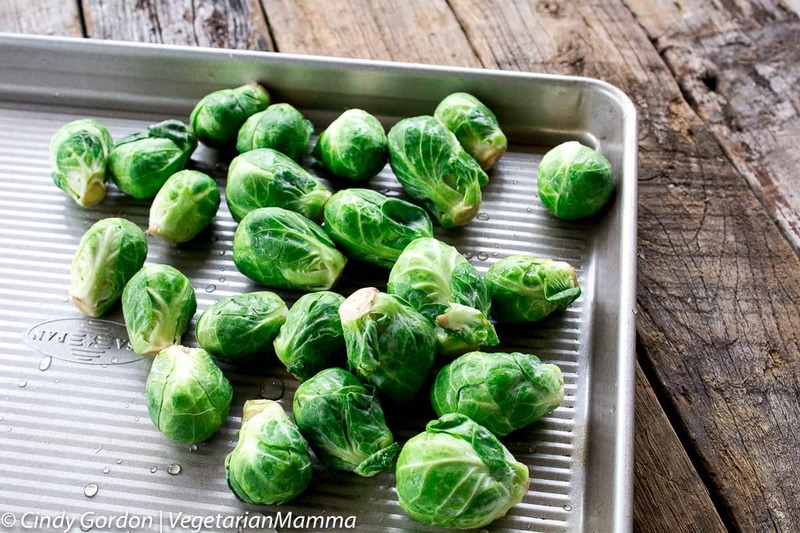 You can roast your brussels at 425 degrees F for about 20 minutes! Stir once in the middle of the time frame! There are so many ways that you can enjoy your air fryer brussel sprouts. One of my new favorite ways is to toss them with homemade sweet and sour sauce. You can use the sauce recipe here. (Click here if online) You will not need to use all the sauce, just spoon it on in small amounts of a time until you reach your desired level. It is SO good! 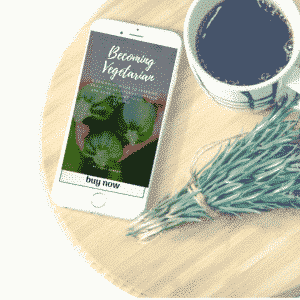 Looking for vegan air fryer recipes? We have some of those too! You can even check out our YouTube channel for some air fryer videos. Still don’t have an air fryer of your own? Be sure to check out our air fryer reviews from several of the top models out there. 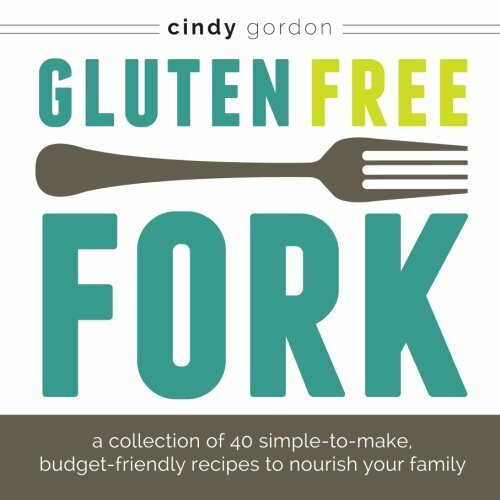 You’ll be whipping up free air fryer recipes in no time! Want to learn more about Air Fryers? Check out our Air Fryer 101 post! Having an Air Fryer is great but may also mean that you have a ton of questions as well. We have some great tips for using your air fryer! Be sure to check out our Common Air Fryer Mistakes post so you are avoiding common problems when using your air fryer. How to clean your air fryer, that is the million dollar question that we’ve been hearing lately! Wondering the correct and best way to clean your air fryer? Check out these tips for cleaning your airfryer! Let’s talk! 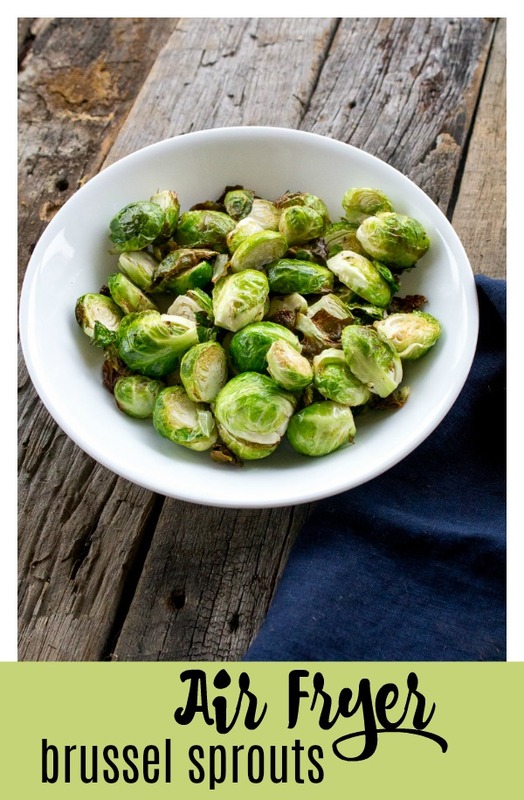 Leave me a comment below telling me if you are a Brussel Sprouts fan? Have you tried an air fryer yet? I actually really love Brussel sprouts! They’re one of my favorites. My daughters love them too. 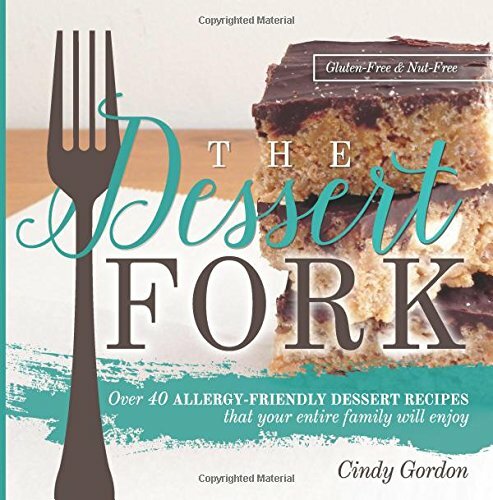 I can’t wait to give this recipe a try. I would have never thought to try them in the air fryer. They are so easy in the air fryer! 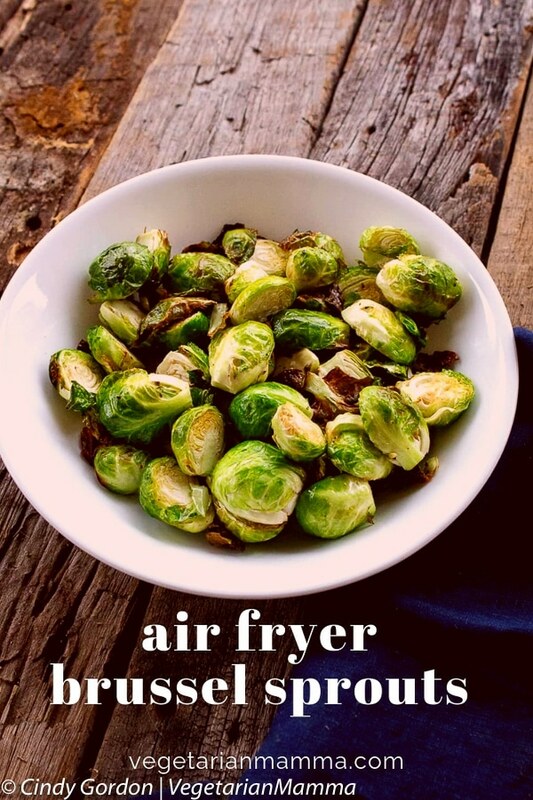 Now you’ve got my interest because I’m a fan of Brussel Sprouts but I’ve never used an air fryer – I’ve seen them in the store but I didn’t know anyone that had one before…. This may just make it to my Christmas shopping list now! I got my air fryer for Christmas a few years ago and love it! 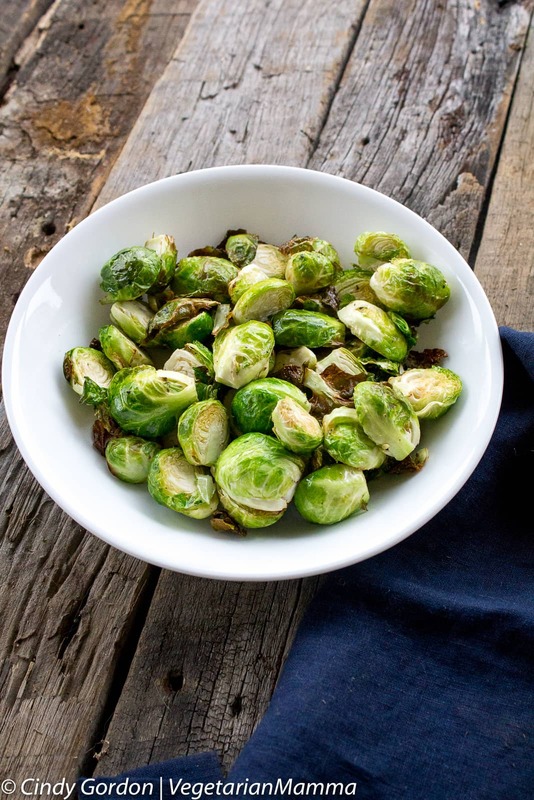 I am a huge fan of brussel sprouts – they are so delicious. I love them roasted, but I would like to try your recipe too. Looks good! Love how these turned out! I had mine in for 8 minutes and it was the perfect amount of crunch. 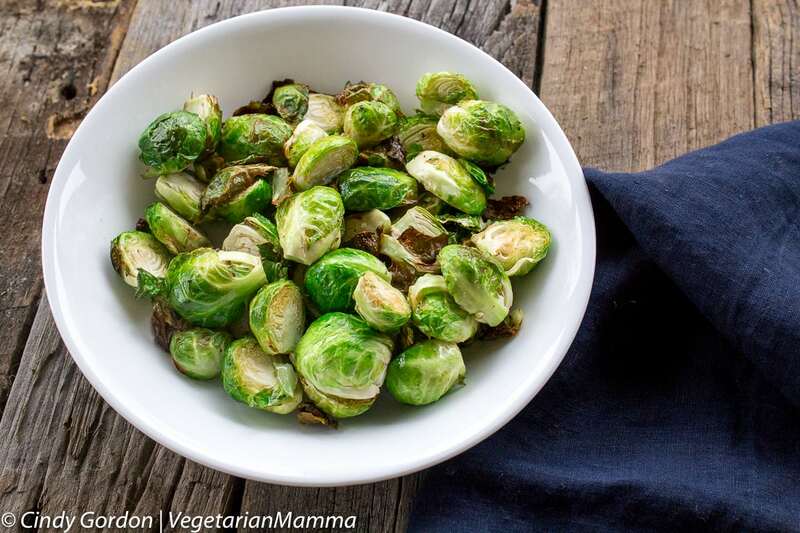 This looks like my kind of way to enjoy Brussels sprouts, thanks for sharing! I love how easy this recipe is! Can’t wait to make them. I hope that you enjoy as much as we do! This is great for any occasion! And it’s much healthier than regular frying. Thanks for a great recipe! Looks awesome! One of my favorite side dish, definitely a huge hit and I’m so excited to try this! We love cooking veggies in our air fryer! These Brussels sprouts look perfect! This looks delicious I can’t wait to try this! What a great recipe! I have to put this on my menu!